Well, after Mattias cracking first fish of the season here on opening day, we had a lull for a few days, as one would often expect this early in the season. Conditions were reasonable, if anything the water being a little high, rarely falling below 65. There were a few people who did take the initiative and venture forth in the hope of an elusive early spring fish. One of these was Mary Donovan, an experienced Delphi angler who tried her luck. 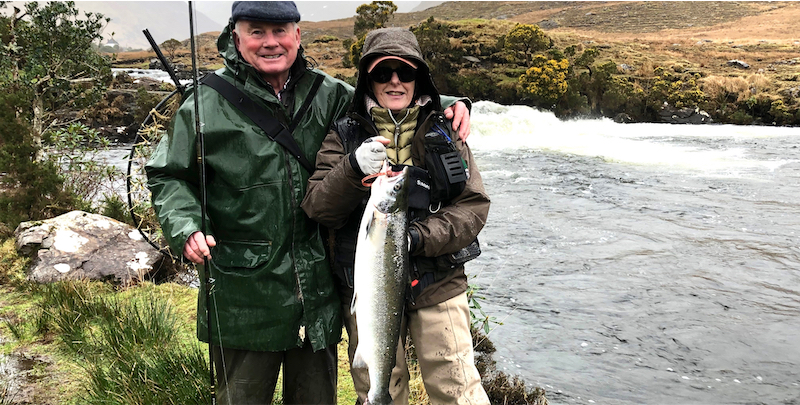 Conditions were difficult yesterday with the river at 70, but Mary persisted, guided by the very experienced Peter Joyce. 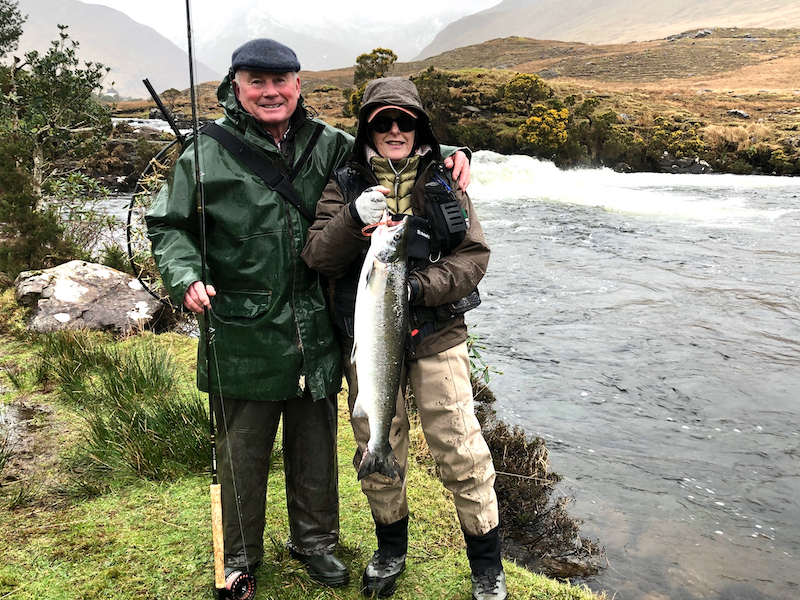 The teams experience and luck were in, when Mary landed a beautiful 8lbs10.5ozs fish in the Waterfall Pool yesterday at 14hrs20. Once again, the fish was taken on a Delphi Collie tied on a copper tube, fished on an intermediate line with a sinking tip.